“Funny story. Gary Morris was the builder we chose way back in 1993 to build our first home. We interviewed several builders and he was the clear cut favorite for my wife and I. He was great to work with, and his patience with us, being young kids fresh out of college, was invaluable. He built our beautiful home in Montrose, MI. We loved it. We lived in this home for 23yrs and raised 2 kids. Now that our kids are getting older and going (and getting ready to go) to college, we decided it was time to find a smaller home on the lake. We spent a long time looking for a house we liked (within our budget). I found a realtor’s number on one of the homes. The name kind of sounded familiar, but didn’t think much about it. After a couple phone calls, we realized who each other where and my wife and I knew that this was the realtor we wanted to use. Long story short, he showed us homes that where appealing to us. We quickly found the house we loved and Gary made the deal happen. Now that we found the home we where going to buy, we turned our attention into selling our current home. We obviously chose Gary Morris again to list our home. Everything was new to us and we had a ton of questions and concerns. Gary had answers and great advice, just like he did when we where building our home 23 years ago. Our house sold quickly. "We put Gary through the wringer. He found many a house that just did not fit what we were looking for in a house. We were a little unsure ourselves and Gary continued to try to narrow the search without pressure or being aggravated. We appreciate all Gary did. Would recommend him to anyone trying to list or buy a home. Thanks Gary!!" "Gary helped me to purchase both my new house and sell my old house. He was committed to our experiences where he even responded to our phone calls even if he did have to drive out to the top of the hills while in vacation in Kentucky so he could get back to us. Gary made sure that our buying and selling experiences were as easy and hassle free as possible. He even made nice personal touches by delivering us home made cookies on Christmas to make sure we knew we were valued customers." "If you want a highly motivated, experienced, knowledgeable and honest representative for the sale or purchase of your new home...Garry Morris is your man. Gary went above and beyond our expectations as our realtor. He is patient and logical and continually kept us updated and informed through the entire process. We told him what we wanted, and he was right on top of it. His building knowledge insured that we were getting a high quality home, without a lot of upkeep or renovations. He showed us one home and was right on. We love our new home. We will forever be grateful to his time and energy set forth and will be sure to use him again in the future. Gary Morris will always be highly recommended by my husband and myself." "We worked with Gary to sell our condo. He was very professional in every phase of the sale. He brought us only qualified buyers and was in constant communication from showings to the closing of the sale." "I highly recommend Gary Morris! It was an absolute pleasure working with him! Gary helped us to find exactly what we wanted in a home and he let us go at our own pace. Not only did Gary help us find our dream home, he helped us to sell our home, very quickly! Gary has a lot of experience and is an amazing person to work with." "Gary helped us find our dream home! He was always available for showings when it fit our schedule and answered calls and emails right away. We went to many homes before finding the right one, and Gary was always patient and willing to show us any home - even if it was over our budget or not what we said we were looking for. He always gives his honest opinion (very knowledgeable) and will never push you to buy a house. Once we found the one, he was helpful during the closing process, which I had never done before. We really appreciate his help and couldn't be happier in our new home!" "Gary was a pleasure to work with when shopping for a new home. He was very engaged and always available whenever I needed feedback. He made sure the buying process was a breeze. I never once felt overwhelmed. I have and will continue to recommend Gary to family and friends whenever they are looking to buy or sell." "Gary was amazing. He made the process as easy as possible for me. Gary always made sure I knew what was happening every step of the way and I really trust him. He's a great REALTOR®, I would highly recommend." "Gary assisted my husband and I with selling a house, and also buying a new home at the same time. During this process, my husband and I had to travel out of state for work, and it just so happened that the house sold during our travels. Gary was able to get everything we needed over to us quickly so we could eSign documents, fax over documents, and email anything else we needed over in a timely matter regardless that we were not face to face at first. When we bought our new home within the same time frame, he was very precise and was able to give us the attention we needed through the entire process! This was my first time buying a home, and I could have not asked for a better realtor to work with! I felt extremely comfortable working with him knowing that his expertise and knowledge was remarkable. I would highly recommend using Gary Morris as he has the knowledge, skills, and expertise that you are definitely looking for!" "Gary was excellent to work with. He was able to answer all of my questions and ease any concerns I had during this whole process of buying and selling a home. If and when I go through this again he will be the first person I call for representation. He with out a doubt earned my business! Thank you Gary!" "Gary has provided outstanding service in selling my home. I have been dealing with residential income property for several years now and greatly appreciated Gary's expertise. Every stage of the process from listing to negotiations and price evaluations in regards to market conditions have been exemplary. Gary's knowledge of current market trends and past trends have made my selling experience enjoyable and profitable. I highly recommend Gary Morris at Platinum Real Estate for all future Real Estate investments. Integrity honesty and knowledge in real estate investments is what you get with Gary. I look forward in working with Gary and his brokerage again and again." "Gary was very professional and really listened to what I wanted and needed. He helped me get a good price for my home as well as negotiated a fair deal on my new home. I am a widow and needed someone I could trust and give me good and honest advise. Gary wasn't just looking for a quick sale, and was great at listening to my ideas. Gary helped me to know how best to market and show my home. He took great care in getting the best pictures and video made. When I had any questions or concerns, Gary patiently listened to me, gave me his advise and than let me make the final decision without feeling any pressure. I would definitely recommend Gary to anyone buying or selling a home." "Gary recently helped us sell our home and buy another property. Gary's marketing was top notch and our home sold very quickly. While purchasing our new home, he was patient, showing us many properties and always willing to go the extra mile (literally!). He was quick to respond to our questions and extremely knowledgeable about the market. He's always professional and courteous and I would not hesitate to recommend Gary to family and friends." "Gary knows the Fenton and surrounding area extremely well, and since he has a background in building in addition to real estate he was able to tell us things that other agents wouldn't even think of! He was very diligent to ensure the process continued to move along, and stayed patient with our many questions and phone calls through closing and beyond. He helped us sell our other home very quickly, and this is the second home we've purchased through Gary - having fantastic results each time. We're thankful for Gary, and will go through him again should we ever be in the market again!" "Mr. Morris not only listened to our list of requirements for our new home, he also made suggestions that we found very helpful. He far surpasses any requirement for the term "customer service". We purchased on a contingency and through out the several months before the close, he spoke with us monthly to find out our progress on selling and also gave us updated information on the sellers wish to close sooner. Since the purchase, Mr. Morris has been a great source of information on contractors in the area. We have had a few issues since the move, but with one quick call, we had a contractor to fix our problem, thanks to Mr. Morris. Moving is stressful enough, but Mr. Morris has held our hand through the entire process and after. I would highly recommend him." "Gary is an excellent REALTOR®, very honest & has a superb reputation. His prior experience in building homes made him very knowledgeable & he was able to answer any questions we had about our home. The negotiation process was quick & smooth & he worked diligently to get us through to closing. He was good about communicating with us throughout the process so we knew what to expect. I highly recommend Gary!" "We actually used Gary to sell our first house and to buy our second one. He sold our house for our full asking price in 6 Days!!! That's very impressive in this market. He also found us the perfect house to buy and negotiated a great price within weeks after we started looking. Gary is very knowledgeable about real estate and the construction of house in general. I would recommend him to anyone. And when we are ready to sell this house and buy again we will be using him again." "As a first time buyer, I had no idea of the process of buying a home. Gary was awesome- he was very patient and allowed me to look at homes and come to my own decision about which one was right for me; he also explained each step of the process along the way. During negotiations with the sellers, Gary worked very hard to get me a good deal. I could not have asked for a better realtor and I would highly recommend Gary to anyone who wants a knowledgeable, customer-oriented realtor working for them." "Gary was a huge help to us in both selling our home and purchasing our new home. He went over and above to help us meet deadlines. My husband was working out of town for the majority of process and Gary was there at to help get inspections done at late hours. He was very professional and flexible." "I normally do not do many online reviews. In fact this is the first one I have done. I think though that this review may be the most important one that I ever do because of the importance of buying a home. Gary helped my family first buy our new home, and then sell our old home. For both we would chose no other real estate agent than Gary. We were not the easiest buyers to work with. My wife and I could not agree on location, house type, property size, age or even if we really wanted to move. Gary helped us look for homes for a long time, and helped us write quite a few offers at our own pace which is much appreciated. When asked to look here, and then over here, and then again here, with Gary it was done, done and done. He knew Fenton very well, but what surprised me most was how much he knew about areas that were 30-40 miles away. He did not live in that area and never had. Somehow he had contacts to call though, and knew just what to do and where to get answers to questions that we had. When we finally selected a house, Gary was great with the offer, counteroffer, inspection, and closing process. Being a foreclosure, the entire process was littered with issues, and Gary was able to resolve them with no issue. Foreclosures might not have been his specialty, but we would have thought that they were. We got a great price and a great home. If we would not have been working with Gary, I am positive that we would have never made the purchase that we did. His patience, positive attitude and flexibility kept us going throughout. On the sale of our home, most buyers need really only 2 things....speed and price. We got both. A great price for our home, and it sold fairly quickly. From the start, we were firm on a price and Gary was OK with that. It took a little bit longer to sell because of that, but Gary was confident that he had the home priced right, and that the right person would come along for our home. We had an offer in about a month for the price that we wanted and that was that. I said this above and I will say it again. If we would not have been working with Gary, I am positive that we would have never made the sale that we did. I hope this review helps others to pick the right agent for their real estate journey. I will always remember 2013 as a year that changed my family's life forever. I am glad that I met Gary and navigated this process with him. I said in the review above that I am not sure we would have made it to the end without him and it is really true. Of all of the real estate agents we could have called that cold day in February we called Gary. We made the right call without a doubt." :This guy is the man! I cannot say enough on how highly I recommend this agent. I had very specific needs, on a very strict timeline and Gary came through and went above and beyond to help get my home purchase accomplished. His experience and knowledge of the industry as far as I can tell is unmatched, especially in the area that he works. He is also very fast as far as responding to questions which can be huge if you have a timeline. Don't make it difficult on yourself, call this guy, best decision I made in my home buying experience and will be recommending to everyone I know." "Gary was great to work with. He listened to what I was looking for in a home and sent me listings that fit within my specifications. I was able to count on Gary to respond to my emails or voice mail in a more than timely manner. I couldn't have asked for a better real estate agent to work with." "When Gary listed our house, we had three offers on the very first day!! we accepted one of them, the deal went through and we had NO issues at all and were very pleased, almost too pleased b/c we were expecting it to take some time b/c of the poor economy - so then the pressure was on to find a house and make an offer!! Gary took us to several homes, we placed an offer on the one we liked the best, they countered, we accepted and everything went seamless. Gary has been in the business for many years and that was very helpful b/c we needed a house inspection and he had a referral for us, and after purchase he was able to suggest a few contractors for some changes we wanted to make. Additionally, he truly seemed, at times even more excited for our house renovations than we were! Really going above and beyond the scope of his job! normally to sell, move and buy a new house w/in weeks of each other is quite stressful (and it was a bit) but b/c of his professionalism and experience it was a lot less stressful than it could have been." "Gary is a former builder of homes. He can offer good insight into the quality of the home construction and can offer advice on potential improvements. Gary was able to help us find a home that fit our needs as well as get us a great price. However, the house was in need of some renovations and updating. Gary was able to give us confidence that the house was well built and would not require any major re-construction. It is very useful to have Gary's insight as a builder, especially when he can let you know how much certain renovations can cost." :My wife and I decided to purchase our first house. We went online and looked at reviews of local agents. We came across Gary and liked what we had read. Our experience with Mr. Morris met every last expectation we had. We were looking to get into a house quickly, but we were surprised at how quickly we were able to find a home with the help of Gary. As first time home buyers, Gary is an awesome agent to do business with. He is very knowledgeable on potential issues, doesn't hesitate to give his honest advice, and always there when we needed him. We never had to work around "his schedule", he was always available. It felt like we were his only clients, which I am sure is not the case. I would be very likely to recommend Gary to anyone buying a house, and if we decide to sell our home I will definitely give him a call." "Gary exceeded my expectations! With a soft sellers market and with other agents shying away, due to what I expected ($) from my home, Gary ..however leery..placed the tme and effort into listing the home. Where others had made numerous comments on how the home would never sell for my asknig price..not only did Gary "list & sell" the home but for "FULL" asking price!....to the "first" client....and the time line from list to sell..30 days! Where other agents fail..thinking there are no buyers in todays market, simply need to take note of a professional such a Gary that so easily proved the others wrong. When professional agents list your home they accomplish their goals..where others make excuses and fall short. This was the first time dealing with Gary..contacted him for the sole reason that he has more positive feedback than any other agent listed. Look forward to future dealings with him!" "Gary has made our experience on finding a home a great one, we live over 100 miles away from where we wanted to be,and we had alot to choose from that he sent to my E-Mail, with all the Information we would need.We finally decided on one of the homes and are ready for moving day.For anyone looking for a new home, call Gary Morris,he will take great care of you." "Gary is fast and knowledgeable. Easy to contact and gets back to you when he says he will. He wasn't out just to sell a house, but a home I wanted." "We have been looking at homes with Gary for a few months now. He is really great to work with. We are very particular in what we are looking for and Gary has been extremely patient with us. He doesn't push us toward any sort of "hard sell" but always encourages us to really imagine if we can see ourselves living in a particular house. He is also good at suggesting houses in addition to our "search" when one comes up that might be slightly out of our area. He seems knowledgeable in building practices and is able to answer or find answers about features of specific homes. He's also easy to get in contact with and gets back to us quickly when we find a listing to our liking. We plan to list our home through Gary, once we finally find that "Dream Home". We would recommend Gary to anyone looking to put an honest, hard-working real estate professional in their court." "I am a first time home buyer. I had many things I was looking for in a house. Gary only showed me houses that fit my price range and had the features that we were wanting. Whenever a new house opened up on the market, Mr. Morris would meet me at whatever time was convenient to me. And he never tried to force a decision out of us. He gave us room to think and decide." "My wife and I had the pleasure of meeting and working with Gary. Gary is a former builder and is extremely knowledgeable about home infrastructure, something we did not know a lot about and wanted to be sure of when buying our first home. We just purchased in April 2012 and are thrilled. Gary was patient throughout the process and very helpful. Gary made himself available and would promptly answer or return calls and emails. Gary was honest, respectable and worked hard to help us get our first home. We would highly recommend Gary to anyone." "My Husband and I have worked with Gary for about a year and a half now. We would feel comfortable recommending him to anyone. He has continued to display professionalism and patience, as we tend to be very picky clients. Gary is very easy to communicate with as he always responds in a very timely manner and tries to accommodate your schedule. My husband and I are very partial to Gary and cannot imagine working with anyone else." "Gary is always available when I have a question through text, email or phone! Gary also has made every effort to make our short sale purchase process as smooth as it can be. It's been a rough experience but he has maintained contact with the seller's agent and has been keeping us up to date on any activity. We hope to close soon and I'm confident Gary will continue to be the excellent agent he has been. We also intend on using him to market our current home to sell/rent! I'm sure he'll do a great job. I highly recommend Gary to anyone in the market to buy or sell." "My wife and I had Mr. Morris (Gary) build us a home in 20007. In 2010 we had an opportunity to purchase another home, again working with Gary. In both incidences, Gary proved both very professional and knowledgeable. Both my wife and I have become very comfortable around Gary and because of this, he has earned our trust." "I worked with Gary over the past couple months buying a house in Fenton, MI. Gary is very quick responding to any questions and does his best to meet your needs. Gary is very easy to talk to and very knowledgeable when it comes to construction. I highly recommend Gary to anyone looking to buy a house you will not be disappointed." "Gary Morris has proven to be courteous, professional, and most knowledgeable. Mr. Morris has helped my family search for a new home with a strong sense of urgency. It is clear that Mr. Morris will go the extra mile for his clients and provide multiple contact options. My wife and I have been extremely grateful to Gary for providing us with top notch service no matter what the outcome. It is refreshing to see an agent with the clients' best interests at heart and not just a commission from a sale. Gary has helped us view over a dozen homes to date and is still working to help us find the perfect home. I truly appreciate the considerations Mr. Morris has made for us by allowing us to contact him at almost any hour of the day or night through phone, e-mail and text. You simply can't go wrong with Gary Morris as your agent...thank you Gary!" 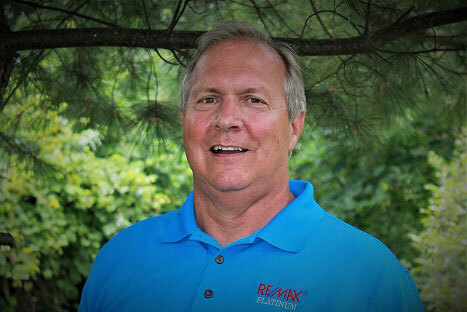 "We worked with Gary for a couple of months while looking for a lake house in Fenton. He has a very relaxed personality and is very easy to work with all through the process. He never makes you feel pressured to buy a home if it is not what you are looking for. He also figures out very quickly the things you like and don't like in homes. I would highly recommend Gary to anyone looking for a new home." "Gary was quick to respond to our every request and was very amicable to working around our schedule. Having extensive experience in home building he was able to answer questions about the homes we viewed that we wouldn't even consider asking most real estate agents. I would definitely recommend Gary to others and plan to work with him in any future real estate endeavors." "Gary worked as a true buyer agent and we found and purchase a wonderful lake home at an outstanding value. "Gary Morris is well known around the area. He is a very experienced builder as well as an excellent agent to work with. He has always given very sound advice on all properties. Since he is so knowledgeable about construction he can give realistic advice that is very helpful in purchasing a home that you will not only love, but you will also feel confident when you do purchase thanks to his honesty and integrity." "Gary Morris did an excellent job selling our house quickly, even in this slow housing market. He understands the local housing market and has great advertising ideas. He is kind, friendly, very responsive and takes an active role in selling the house. We will use Gary again and recommend him to all of our friends and family."